You can reach our customer service team at [email protected] or 1.855.967.8197 (Monday – Friday, 7am – 5pm PST). Or, feel free to fill out our online Contact Us form and we will get back to you as soon as we can. 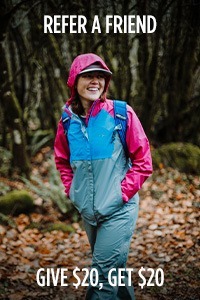 How can I apply for Outdoor Research sponsorship? 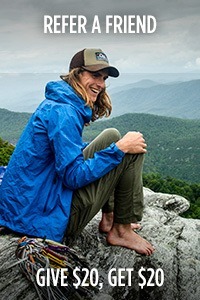 Outdoor Research supports a wide variety of non-profit grassroots organizations and human-powered adventures that sustain our stewardship ideals of access, opportunity, and education. To apply for sponsorship, please email [email protected] with more information about yourself or your organization. We’re stoked about your interest in our brand, but due to the high number of requests we receive, we don’t have the capacity to respond to every message. Rest assured our marketing team will be in touch if they think you’d be a good fit. Where can I find the weights, fit, measurements, and other specifications of a particular product? Most product features and fabric details are included on each product page just below the sizing guide. If you can’t find the information you’re looking for, email [email protected] or call (855) 967-8197 Monday – Friday, 7am – 5pm PST. If a product is out of stock on your website, what are my options for purchasing? You can find retailers near you by utilizing our Store Finder. 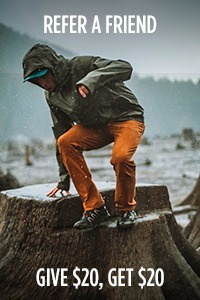 If you’re local, you can also stop by the Outdoor Research Seattle Store at 2203 1st Ave South, Seattle WA 98134 to see if we have your item in stock. Give them a call at (206) 971-1496 beforehand to check for product availability. How can I revive my waterproof gear? If you have any further questions, email [email protected] or call (855) 967-8197 Monday – Friday, 7am – 5pm PST and we will be happy to help you out. I have a product suggestion or concern, who should I contact? We are always looking for ways to improve our products and raise the bar in the industry to better meet the needs of our fellow adventurers! Go ahead and reach out to customer service with your ideas, advice, or kudos at [email protected] or 1.855.967.8197 (Monday – Friday, 7am – 5pm PST). How can I order your catalog? Sign up for our free catalog to receive exclusive discounts, new product announcements, and adventure-inspiring stories throughout the year. Enter your information on our Catalog signup page for free inspiration delivered to your door. Do you offer a pro deal program? Yes, we sure do! Please visit our Pro Purchase Program Application Page to get started. Applications generally take 1-3 business days to process. Feel free to contact us at (855) 967-8197 or [email protected] if you have any questions regarding this process. Where can I learn more about Group Sales? Learn more about purchasing bulk orders for your business at our Corporate and Group Sales page. Where can I find information on shipping costs, times, and carrier options? Visit our Shipping page for details on shipping costs, times, and carrier options, along with holiday schedules and expedited shipping options. If you can’t find the information you’re looking for, email [email protected] or call (855) 967-8197 Monday – Friday, 7am – 5pm PST. Once your order has shipped, your account will be updated and you will receive an email which includes shipment and tracking information. You can then either follow the link provided in your email or enter the tracking number directly in the carrier’s website (FedEx) to get an updated status report of your shipment. If you are unable to find your tracking information, our Customer Service department is always happy to help and can be contacted at [email protected] or 1.855.967.8197. Tracking is available 24-hours after your order has shipped. Can my order be shipped to an address outside of the United States or Canada? 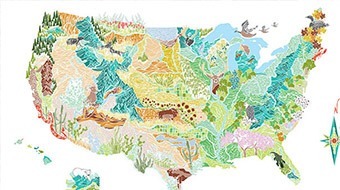 We currently only ship within the United States and Canada. To find a dealer near you, visit our Store Finder, enter your location, and use the left-hand scroll to browse purchasing options in your area. We are not able to change your order once it’s been submitted, so if you need to modify an order, your options are to either cancel the original order or receive it as is. Give us a call at 1.855.967.8197 Monday – Friday, 7am – 5pm PST, or email us at [email protected], for help with cancelling or replacing an order. We do not currently offer a will call service. Any items purchased via our website must be shipped to a physical address or post office box ( PO Box) located in the United States. How does your infinite guarantee work? You can learn everything about our warranty on the Infinite Guarantee page, or by reaching out to customer service at [email protected] or 1.855.967.8197 Monday – Friday, 7am – 5pm PST. We do not currently offer a repair service, though we will do our best to help you find a solution to any piece of gear that has been loved to pieces. We understand that many of our customers have a strong connection to their gear and are happy to recommend Seattle-local repair locations, or tips on extending the life of your gear. As always, feel free to reach out to us at [email protected] or 1.855.967.8197 Monday – Friday, 7am – 5pm PST with any specific questions. What is the turnaround time for a warranty item? Once you’ve submitted a warranty claim via our Infinite Guarantee page, a customer service representative will be in touch with you within 2-4 weeks on next steps. If you have any questions in the meantime, feel free to reach out to us at [email protected] or 1.855.967.8197 Monday – Friday, 7am – 5pm PST with any specific questions. 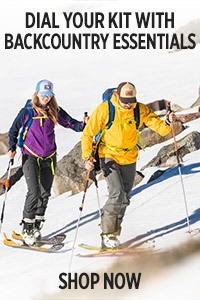 How and when should I send my warrantied product to Outdoor Research? You should hold onto your old item until your replacement arrives – we don’t ever want you to be without your gear. Once you have received your replacement, feel free to reuse the cardboard box or poly bag we sent you to return the item to our warehouse. You are responsible for your returned product until we have received it in our warehouse. Because of this, we recommend that you use a traceable method, such as UPS or FedEx to ship back your warranty gear. Does Outdoor Research cover the cost of shipping my warranty item back? We do not cover your shipping cost to return your old item back to us. However, we do cover the cost to send your new item to you! I’m only missing a small component of my item; do I need to send my entire item back? We oftentimes have extra straps, buckles, snaps, glove liners, and bivy poles lying around the office. Email us at [email protected] with photos of your gear and a description of what you’re missing, and we’ll check our availability. Rest assured that either way, we will find a solution to your missing items. I didn’t purchase my item directly from you, is it still covered under your warranty? Yes! As long as your item is made by Outdoor Research, it is covered under our Infinite Guarantee. What happens to the defective and used items once they are sent back to Outdoor Research? Outdoor Research, as a part of the outdoor industry community, has been fortunate enough to help others in need. 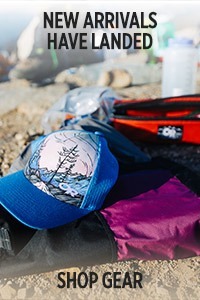 Our donations have been sent to areas struck by disaster and given to local community organizations to help those who may not be able to otherwise get outside in the gear suited for their adventures. What shipping address should I use to send my items back? Can I return items without a receipt? 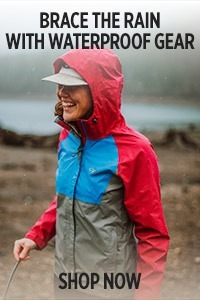 If you purchased the item via our website outdoorresearch.com you can make a return for a refund within 30 days of your order being shipped. If you purchased your item from another vendor, we can offer you an online store credit. Can I exchange my item for a different size/style/color? We do not process exchanges. We are happy to refund you for the item(s) purchased via our website, then you can log back onto your account and place an additional order at anytime. I purchased an item online at outdoorresearch.com, can I return it to the Seattle store? You can drop off your online order return at the Seattle Store (2203 1st Ave South, Seattle, WA 98134) as long as you include your Return Merchandise Authorization number (RMA#). Please allow 2-3 business days for your refund to be processed through our systems, and another 5-10 days for the return to be reflected on your credit card. How can I return an item from my recent purchase? Please note that to process a refund to your credit card all returns must be received within 30 days from the date of purchase. How do I return my purchase if I checked out as a guest? If you checked out as a guest, our customer service department is happy to help you with your return. You can reach them at [email protected] or by calling or 1.855.967.8197 Monday – Friday, 7am – 5pm PST. Be prepared to provide your name, order number, and product or products that you want to return in order to ensure a swift process.